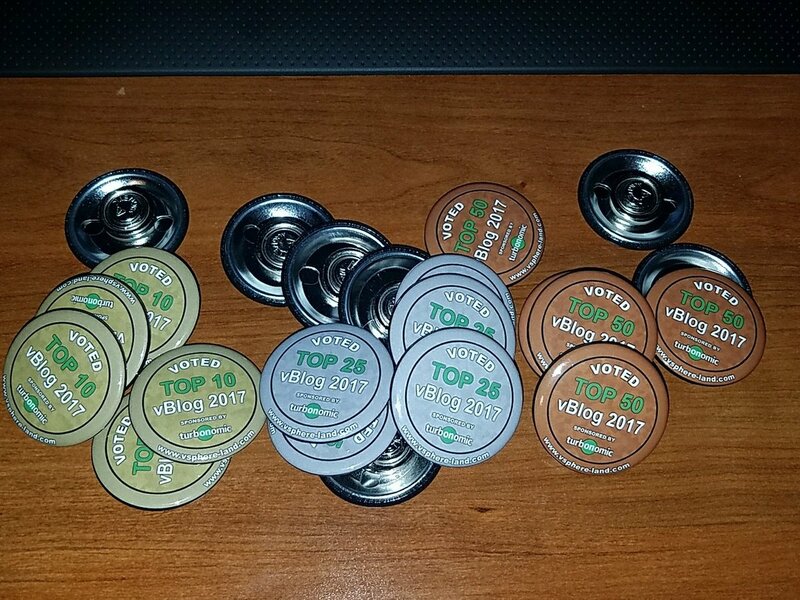 Top vBlog 2017: Notable Representation and Thanks - VIRTUALIZATION IS LIFE! It feels like this year moving along at ludicrous speed so it’s no surprise that the Top vBlog for 2017 has been run and won. This year Eric Siebert changed things up by introducing new voting mechanisms to try and deliver a more palatable outcome for all who where involved…I think it worked well and delivered interesting results for all those active bloggers listed on the vLaunchpad. Eric introduced a point system based on Google Page Speed and the number of posts in 2016 to help level the playing field and make it less of a perceived popularity contest. Introducing tangible metrics to make up a portion of the total ranking points was an interesting move and seemed to work well. If nothing else it made people (myself included) more aware around the dark art of web page speed optimization…and this has meant a better browsing experience for those visiting Top vBlog sites. As expected, with Duncan Epping bowing out of the race William Lam deservedly took out the #1 spot with Vladan Seget, Cormac Hogan, Chris Wahl and Scott Lowe rounding out the top 5. There was lots of movement in the top 25 and I managed to sneak into the top 20 at #19 which is extremely humbling. As with previous years I like to highlight the Aussie and Kiwi (ANZ) representation in the Top vBlog and this year is no different. We have a great blogging scene here in the VMware community and that is reflected with the quality of the bloggers listed below. Special mention to Matt Allford who debuted at #190 …watch out for him to climb up the list over the next few years! My follow colleagues at Veeam made it into the list and all below made the top 50! Nice post. I thought vcdx133.com was an Australian as well?